The Vincentius a Paulokerk was built early in the 1960’s. 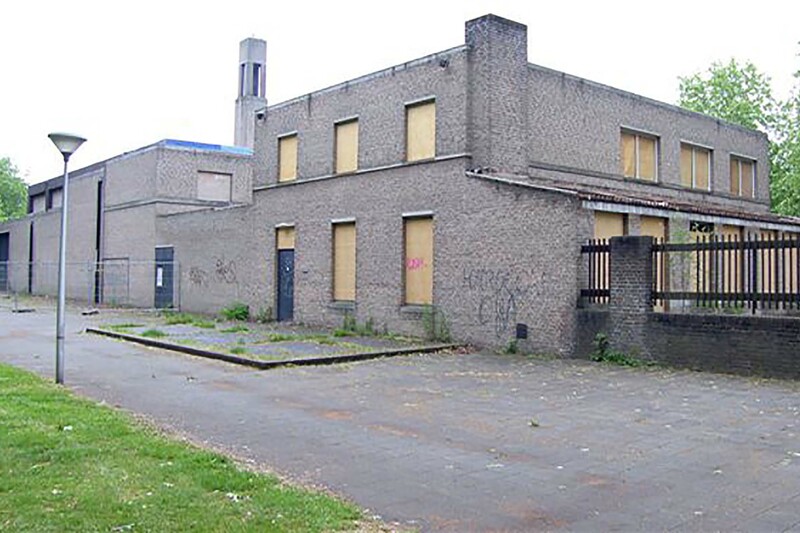 It is a typical Bossche school building, developed by architect Jan de Jong. The task for VAN AKEN was to facilitate the reuse of the church building for office purposes. A character trait of the building was that to experience its true nature one needed to enter the building, something inherent in the original function. Consequently the influence of daylight is limited. Techniques have been applied to limit as far as possible the external perception of a changed building. In the high church area a mezzanine has been created around an atrium with a glass roof. In conjunction with a sizeable patio this atrium creates a fine atmosphere with plenty of daylight, especially on the ground floor. The original massive front doors are now sources of light for the offices further into the building, while a new smaller entrance has been created in the bricked outside wall. The material used for this includes a glass structure; this glass is also found in the staircase leading to the mezzanine, producing a concept which fits perfectly in modern times. They work as an advertisement during the day and as light object at night. Internally all extra elements introduced into the building are easy to determine and isolate (insulated walls, stairs, electrics, building constructions) and applied in such a way that it is possible to restore the building to almost its original state. Everything has been developed in close cooperation with the department Monumentenzorg en Welstand of the local authority Eindhoven. By means of this operation the building remains in place and in use and it retains its role as historical icon.